Widely flaring, thin upper wall; inwardly thickened, rounded rim (fire-polished). 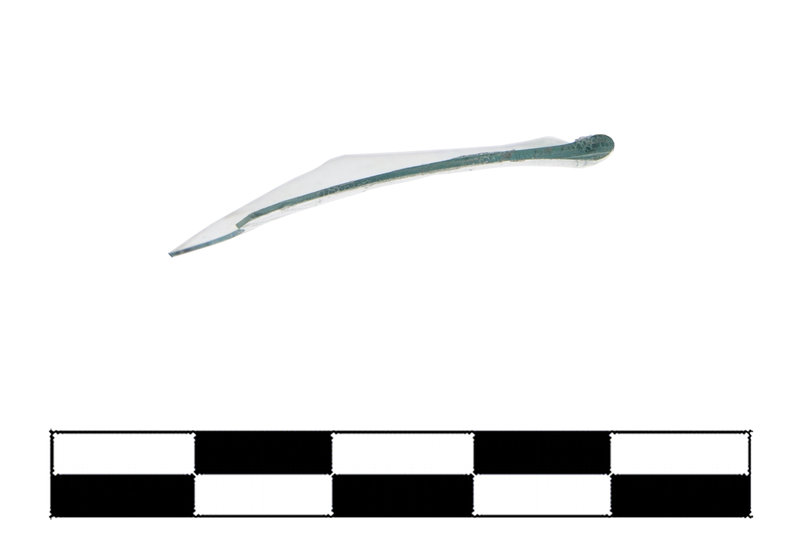 Bluish colorless (PMS 621C), transparent. Very sparse pinprick and small, elongated bubbles, otherwise fine material. 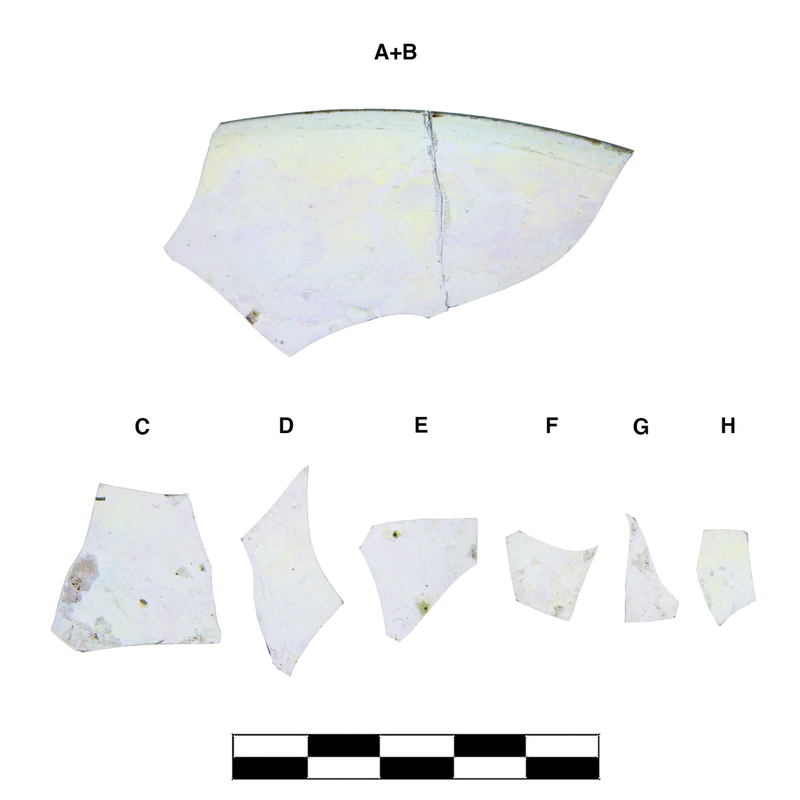 Two joining fragments preserve less than one quarter of rim and upper body wall; six more non-joining body sherds in same material, possible from same vessel. Very slight, extensive iridescence.